Below is a list of some of the best Outsourcing and Freelancer Resources on the Internet where you can find freelancers and small companies providing a broad variety of services that will suit your needs. Since 2006, industry leaders including Apple, The New York Times, Facebook, and American Express have used 37Signals Job Board to hire the best & brightest people. 99designs is the #1 marketplace for crowdsourced graphic design. It connects talented designers from around the world, with customers seeking quality & affordable design services. Authentic Jobs is the job board for web professionals and the perfect blend of talent & opportunity. Behance is the leading online platform to showcase & discover creative work. Members can create multi-media portfolios that will showcase their work. Companies explore the work and access talent on a global scale. BidHire contains the most comprehensive freelance work database on the web. No signup or commission fees. Offer your services to employers around the globe! Advertise your product or service, find link builders, writers, programmers and more at Black Hat World. Buy unique articles for your website from expert writers. Request content to boost your search rankings and help your business grow. You can search content from over 50,000 professional content writers to power your campaigns. Coroflot is the largest, most established, most diverse pool of professional creative portfolios in the world. Design-driven companies worldwide use Coroflot to recruit a full spectrum of creative talent. Crows Spring is the world’s no. 1 marketplace for logos, graphic design and naming. If you are looking for (or offering) services, use Digital Point Buy/Sell/Trade Forums. Find content creation, design, traffic, programming and web hosting services. Scripted is a Content Creation Marketplace, the ideal solution for affiliate marketers, seo agencies, ecommerce clients and traditional public relation and advertising agencies. Elance is the world’s leading platform for online employment with a goal to level the playing field for skilled workers world-wide, providing an open workspace for freelancers and businesses to connect, collaborate and succeed together. Fiverr is the world’s largest marketplace for online services, starting at $5. Freelance.com is the #1 resource for Small Business & Entrepreneurs. It provides the fastest and most efficient means of identifying qualified professionals for project based needs or long-term activities anywhere in the world, anytime. Advertising design, industrial designer, video production, SEO, architects, programmers and web designers are the primary categories at Freelance Designers site for freelancers. Divided to precision into several sub categories to seek or provide suitable job. FreelanceSwitch is a community of expert freelancers from around the globe. It is part of a family of products for digital creatives from Envato. FreelanceWebmarket offers an exciting professional environment where a diverse group of talented, experienced professionals work together as a team to build a new and exciting marketplace with a broad range of projects and services available to you as needed. FreelanceWriting.com claims to be the #1 source for Freelancing, Writing Jobs and Articles for Freelance Writers. They’ve been delivering daily and real-time writing jobs for freelance writers since 1997. Freelancers.net is UK focused and lists many work and projects open to UK freelancers and clients worldwide. It has been helping freelancers find work and clients find freelancers since 1999. It maintains an open database of UK and global Internet freelancers. Indeed.com is a job board with a goal of bringing together companies and experts who take interests in latest web technologies, web standards and web design trends. Mirakl is a leading Global Services Marketplace doing business in more than 200 countries. 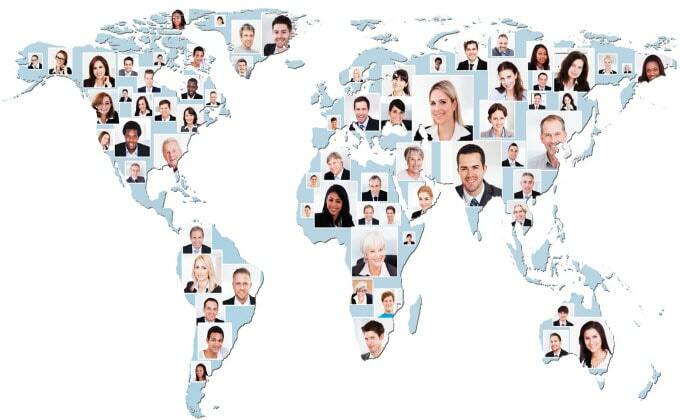 Mirakl makes outsourcing to any part of the globe an easy task! With Mirakl it's simple to outsource any business request, gain access to global talent and manage jobs online. Mirakl – Quick & Easy Job Outsourcing. Outsource Your Job Today. Gofreelance have thousands of jobs in database, with fresh contracts and projects being added daily. Now available worldwide! No experience required. Real Writing Jobs – Earn Extra Money Writing! Guru offer the opportunity to market sought-after skills to a global audience with minimal cost. Innovative features, such as online portfolios, give Freelancers a cutting edge platform on which to highlight their skills and experiences in attracting or retaining business. Hiretheworld claims to be #1 in Logo, Web and Graphic Design. Its global service marketplace allows businesses and individuals to hire, manage, and pay remote freelancers or teams located in 140+ countries. iFreelance is a great way to hire Freelancers, find work and get your goals accomplished. Whether you have experience in proofreading, art jobs or data entry, iFreelance is the hub where you can meet entrepreneurs and sell your freelancing skills. iWriter is the world’s first and only service created solely to facilitate the process of hiring someone to write articles for you, at a price that simply cannot be beat. iWriter is where the world's best freelance writers work online. Joomlancers is a site that caters to different work aspects of Joomla. Come and find work that adds more to your credibility as a Joomla professional and be rewarded with a great sum. JournalismJobs.com is your best choice if your industry type is journalism and you wish to associate with a magazine, news group, radio, TV or any other type of media. Besides, you may also stay updated with the latest happenings of the industry with the news feeds and articles that are uploaded on the site. JS Ninja is a great site to apply for jobs in US, UK, Canada and other such developed countries. You may also find freelance work here in the fields for developers, designers and writers. Krop is creative industry job board and portfolio hosting website used by the most talented candidates at all experience levels, and the globe’s most respected creative brands. MetaFilter Jobs is an area for sharing job openings among members of MetaFilter. If you’re logged in, and your latitude/longitude is stored in your profile, you’ll also see how far away each job is from you. Need An Article™ has been in operation and has given service to many happy clients since early 2006. , has become one of the most highly rated and well respected content creation websites online today. It provides expert authors and quality article writing designed to eliminate buyer’s remorse! oDesk enables clients to hire, manage (that’s different from many other similar services), and pay freelancers worldwide. If your job can be done online, you can hire the best person to do it. Peopleperhour.com is a UK-based company that provides a website for the advertisement of freelance work. An online marketplace matching freelance or self-employed professionals with project work, usually in small or medium-sized businesses (SME's). G2Crowd is a platform where Freelancers can look for projects from the most important sites and the Project Owners can find the best Professionals at the best price. You can also freely propose your services on their classified page. The ProBlogger Job Board is where bloggers looking for jobs and companies looking for bloggers hire and meet. Programmer meet Designer is a site for programmers, web developers, designers, entrepreneurs and writers to find each other and work together to create websites that look and function great. Guru.com is a worldwide Freelance Marketplace that allows clients to post projects and contractors to bid on those projects. They have freelance programmers, web developers, translators and other talented professionals from around the world. ProZ.com offers the largest directory of professional translation services. Many professional translators and translation agencies display their rates and/or offer free quotes. It is the leading source of translation jobs and translation work for freelancers. OnlineJobs.ph is the website to connect directly with freelance workers in the Philippines. You can find many great workers ready to take on all sorts of tasks ranging from writing to web management to marketing and more. Simply Hired is a vertical search engine company based in Silicon Valley, and it's building the largest online database of jobs on the planet. Simply Hired's goal is to make finding your next job a simple yet effective, enjoyable journey. You can find jobs from 24 countries in 12 different languages. The Web Developer’s and Web Designer’s Marketplace. Smashing Jobs is your job board that will help you find the right person for your job opening. It is featured at Smashing Magazine — a magazine that has more than 4 million monthly users and is known to be one of the most successful magazines for creative professionals. Task Army is a better way to outsource online. It has a directory of online services from trustworthy freelancers. By ordering through the Textbroker platform, you connect with thousands of authors who provide high-quality content that is optimized for readers and search engines. Textbroker authors deliver high-quality content – simply, quickly, and at competitive pricing. The Content Authority offers four quality levels of custom created original content writing so that you can choose the quality level and price point that best suits your requirements. TranslatorsCafé is a free database of over 1300 translation agencies and freelance translators from all around the world. TranslatorsCafe.com – a Place for Translators, Interpreters, Voice Talents, Other Language Professionals and Their Clients. vWorker connects 187,568 businesses to remote professionals in hundreds of fields (such as programmers, designers and writers). It saves them 36%-80% over on-site hiring and also protects them better with monitoring of worker desktops and a money-back guarantee. It also allows over 375,457 experts to work from home, choose what they work on and set their own hours. Find Warrior forum members who are willing to write, design, code, do SEO services and much more! An online job portal dedicated to web professionals, here you can find jobs at full-time, freelance, part-time or even contractual basis. Find writers, link building packages and designers here. WordPress is indeed the best blog hosting site. Come and get your wordpress blog site designed and programmed by experts of the field. Access thousands of available writers on an award-winning content marketing platform that's built for quality and scale. this blog is great and informative too. You have shared some very useful resources for outsourcing and freelancing. You have mentioned few websites too which is also very useful. This is a great blog with so much meaningful and relevant leads, I also came across a very interesting platform that I think we should also share and highlight on this community, CrowdsourceAfrica has so much freelancer jobs leads, they are known as the work from home search engine and home of shared opportunities.